Will it help the retailer compete with Amazon? As massive online retailers like Amazon grow bigger every day, traditional brick-and-mortar retail giants like Walmart and Target have struggled to keep up. For the most part, both companies have been pretty successful in doing so. Target now offers same and next-day grocery delivery services on a pretty wide variety of products, and curbside product pick-up is particularly convenient. On Walmart's end, the company is looking into crowd-sourced grocery delivery to both cut costs and improve delivery speeds for its customers. However, Walmart isn't relying on new grocery delivery systems alone to stay competitive. It's also looking to significantly cut costs at its physical store locations, according to a VentureBeat report. The outlet says Washington-based tech startup Ossia, best known for its wireless energy solutions, has teamed up with Walmart to roll out its tech to various store locations. If the partnership works out, Walmart could stand to save a significant amount of money on maintenance and power infrastructure by beaming energy directly to devices that need it the most. Right now, the deal between these two companies is in its early stages, and the specifics likely haven't been hashed out yet. 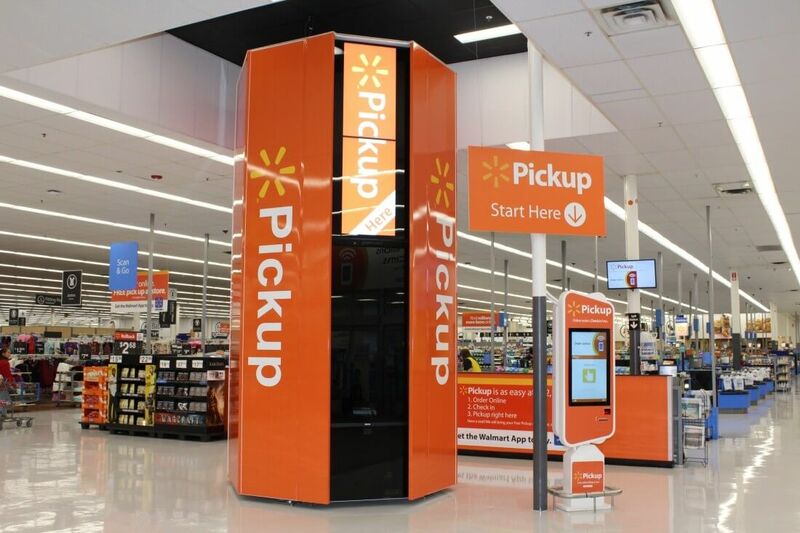 However, Walmart's Ravi Jariwala -- the company's director of PR -- has said that the retailer is "excited" to test out Ossia's technology, in the hopes that the company can "reduce and even eliminate" its dependence on batteries. Ossia's tech is quite complex, but VentureBeat summarizes the way it works very well. To paraphrase the outlet, Ossia's "Cota" gear utilizes an array of transmitters, transceivers, and antennas to bounce energy off of obstacles to devices that are low on battery. At any rate, only time will tell whether or not Walmart can fulfill its wireless energy ambitions, but if it does, it'll have a pretty major leg-up on its competitors - including Amazon.